The National Weather Service of Northern Indiana is calling for isolated showers and thunderstorms between the 5 p.m. and 7 p.m. hours to be ending late this evening. Temperatures will fall into the mid 70s and winds will be out of the southwest at 5 mph to 10 mph. 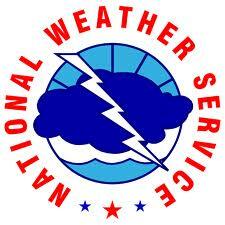 Just before 2 p.m. today the NWS advised that a strong thunderstorm was moving toward southern Kosciusko County. Dopple radar indicated a strong thunderstorm over southwestern Kosciusko County, moving northeast at 20 mph. The storm dropped one half-inch diameter hail on parts of Fulton County, packed winds up to 50 mph and had occasional cloud to ground lightening amid brief downpours. An additional line of thunderstorms is still developing northeast of Monticello and traveling east, northeast.